Ryan Thomas was a teaching assistant in France in 2018-2019, and hopes to relate his experience to others about how to succeed. Every year, thousands of foreigners in their 20s and early 30s come to France to teach their languages, ranging from English to Spanish to Italian to German, to Russian, to Chinese, just counting the biggest languages. There, as employees of the French government, they work in schools for a period of up to 7 months, in an experience which most generally appreciate and find valuable, both for it itself and for the experience it imparts. However, living in another country, and particularly as a teaching assistant (in fact essentially a professor, if with limited hours and reduced need for course preparation or training) can be terribly difficult. 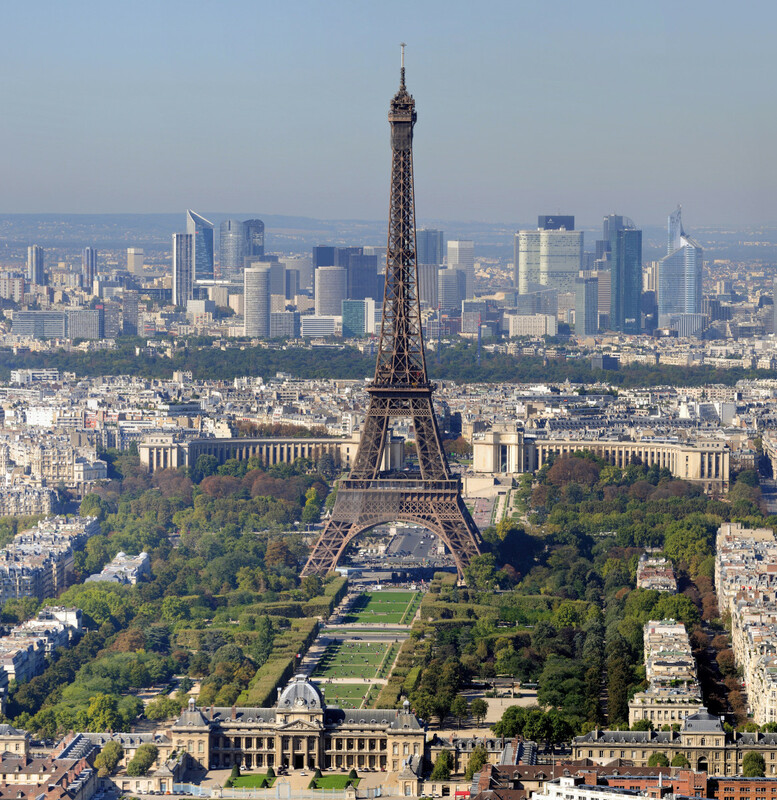 This guide is supposed to tell you about some of the things to expect while living in France, as opposed to the plentiful guides and advice which exists for how to actually apply and enroll for the various programs. Before I write anything, it has to be said that my experience as a Language Assistant in France (assistante de langue en France, effectively a teaching assistant/semi professor), is very much conditioned by what program and role I have. I am with a program called TAPIF, called Teaching Assistant Program in France, and so my experience as an English-language assistant will probably be very different than many others, and furthermore, it must be noted that some things concerning TAPIF are specific to it and not applicable to some other groups. For example, TAPIF members are able to teach in France twice, while many other languages are only allowed to do so once. Furthermore, the specific region I work in, the Académie of Poitiers, and the city of La Rochelle, while broadly comparable to much of provincial France, is a far, far, different story than living in Paris, where the cost of living is far higher while pay remains the same, or living in the French overseas territories, which have both far higher living costs and higher wages, and are culturally, linguistically, geographically, etc. significantly different than teaching in metropolitan France. Even the city of La Rochelle has its specific quirks: some people have commented on it as being rather more closed than some other French cities, so some of my notes about difficulties of forming new, authentic, friendships can be overly pessimistic elsewhere. 1) Despite the name, a teaching assistant in France is actually a teacher, and you will be placed in leading independent groups of students most of the time - not the full class, rather half of it. However, if you are anxious about preparing courses and teaching on your own, don't be too concerned for being quickly thrown into the furnace! Most of the time at the beginning the professors with whom you work will be the ones tasked with preparing lesson plans and guiding you, so your role in their preparation is (most of the time), not required too much (at most a few hours per week, most of the times less), although it will increase over time. Eventually you will be required to prepare lesson plans on your own, but most of the time this will be in the form of simple presentations and/or powerpoint, which are not difficult at all to do. There are exceptions of course, outlined below, but in general I haven't had significant trouble preparing lessons. This is especially reinforced by the first week or two, which is generally spent on introductions. There will eventually be a time when you will be put into a class without a lesson plan, with a professor thinking you have prepared something, but my advice is to stay calm and improvise something. It is easy to have a game, to make students talk about their opinion, something that doesn't require much time or effort to come up with but which fills up the class period. 2) In general, there are 4 different ways in which teachers relate their subjects to you. - Some professors will send you emails up to weeks before a class, to prepare something at great length for it. Generally this involves presentations. - Some professors will tell you what is being done the day or so before, often by text. - Some professors will tell you what one is doing as the class itself starts, sometimes giving some educational material, other times a topic to discuss. - Some professors don't mention anything and you have to ask the students what one is doing. As you can guess, the last is obviously the most difficult, generally not being the professor's fault, just that one needs to remember to actually ask beforehand what the subject of conversation is to be about in this case. It often can be best to lengthen out these courses by engaging in "casual" conversation with the students: the intention is to make them speak English after all, and the subject is irrelevant, so having them talk about their vacation of their weekends is hardly a bad topic for discussion. 3)Generally expect that after the first week or two it will be up to you to contact your professors, to discuss if one is doing an independent project, what their objectives are, if there is class at that time, and I recommend to do so before the start of every week, probably on Saturday. 4)The quality of French students' English can vary quite dramatically. Similarly there can be very profound differences between classes and the level of engagement of students. There is a joke that for children one spends the first 2 years of their life trying to tell them to stand up and talk, and the next 16 years to shut up and sit down. In general, this same divergence exists with a lot of classes - some will be distressingly silent, to the extent that it will be necessary to call on victims (personally I use this strategy quite commonly regardless, to try to get everyone to talk), while others will have students who will talk constantly, as soon as you say anything they will resume talking to their friends. Sometimes they will continue to talk while you look directly at them and say nothing. If you have discipline problems, you can report their names and give them to your normal professor for chastisement, or send them back to the other class. Otherwise, either verbal commands, or something like rapping an eraser on a desk can restore some measure of discipline. One time I gave candy for rewards. Making sure to be friendly and complimentary is a good policy. 5)During the presentations of the initial week or two, common questions can include what your favorite movies are, your favorite singers, and sometimes (this is more common from the professors - English professors sometimes want to have some more recommendations for reading) what your favorite books are. Drawing up a basic list beforehand can be useful. 6)These weeks will also include presentations, which you will quickly become an expert at as you can do the same presentation over and over again, adjusting the way you do it to the skill level of students. In general, good things to go for are lots of interesting, and particularly cute photos (I showed a number of raccoons that would come to my house's deck in the past, which elicits the normal oohs and awws, as well as my cats, who have a similar but lesser effect). Pictures of your country, and personal pictures, are both important and useful. Most of the time it is possible to present this through google drive, but bring a flash drive the first week just to be sure. These will repeat after the classes change after Christmas, so you will find yourself doing the presentations for a huge amount of time. 7)Most of your English professors will probably prefer somewhat to communicate in French in my experience, but some will stick insistently to English. Humor their interests. A vigorous dispute exists about what level of French is desirable in class however: some believe that using French at times is a good idea, others that French should be avoided at all costs. The important thing is to talk to your teacher. Most will prefer that you use English all the time, and if at any moment somebody tells you to stop using French, do so. Don't take what happens in one class as indicative of another, and as a rule, assume that the intent is that you will only use English - I was told myself I was using excessive French and needed to stop, but this was after being in a BTS class where the professor herself used very extensive amounts of English which gave me the impression it was quite fine. In others, professors are much more lenient and you can use French to explain things, if you like this. Just the very image of Trump elicits storms of dismay and unhappiness from most French students, which can be good for breaking the glass. 8)It is a good idea to take advantage of things that your students know about concerning the United States (or if you are reading this from another country, anything from there). A particular subject for this will often be politics. Since I work in France in 2018-2019, Trump is currently the President of the United States. Most French people do not like Trump. Under French law one is not supposed to share one's political opinions with students, and I have heard certain professors have faced complaints from students, or more specifically the parents of those students, for insensitive things, typically jokes, that they have said - not that these complaints have it seemed, gone anywhere, but you are an assistant so inherently less shielded and more vulnerable to that in any case. However, if you are somebody who greatly dislikes Trump, a subject like him can be a good way to build solidarity with the students through jokes about him. Personally I keep my opinion of the president to myself and see no reason to share it. 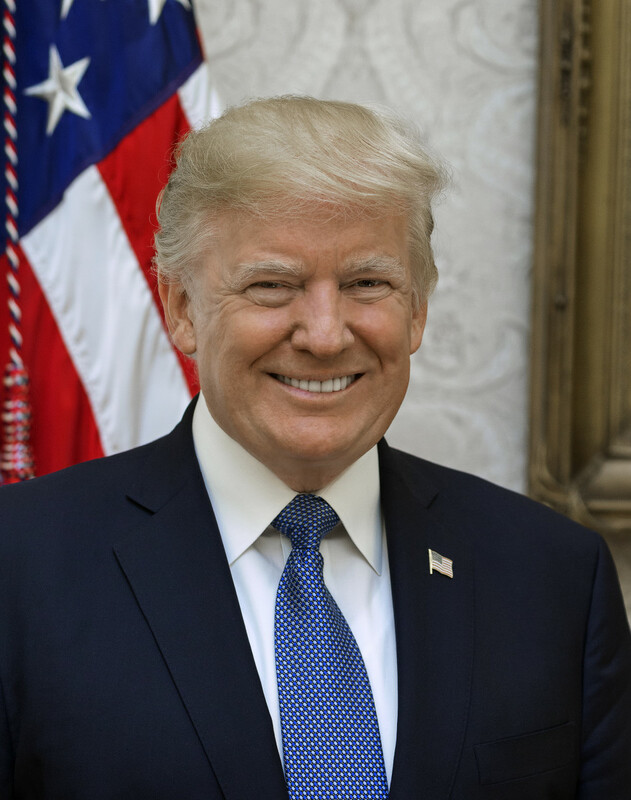 However, even for those who like Trump, simple things like showing him can elicit some energy from the students with the inevitable boos and jeers, while one can still maintain the moral high ground through telling students that not all Americans like Trump, that some Americans very much like Trump, and the virtues of being tolerant, open-minded, and aware of this. 9)Work and job opportunities for the Anglophone world and the world of business is something which is highly important for many English classes at the lycée level, and to some extent at the collège level (collégiens do stages, internships, in some years, so there can be a requirement to translate and speak about them in English). If you have a particular professor at your university who has dealt with job interviews, then contacting them would be good to receive some advice and council about them. Also trying to find a good site to link may be useful for writing up résumés/CVs. As an example, see this one. Try to come up with some questions to ask in job interviews. As a list of some ones which I feel are appropriate, which is only a basic list and feel free to add on some others. 1)What sort of experience do you have for this job? 2)What sort of education do you have for this job? 3)This will be in a heavily internationalized workspace? How do you feel about working in a diverse workspace and understanding and adapting to differences there? 4)In this job, how do you feel working as part of a team? 5)In this job, how do you feel about working individually? 6)Can you give me an example of overcoming a challenge as part of a team? 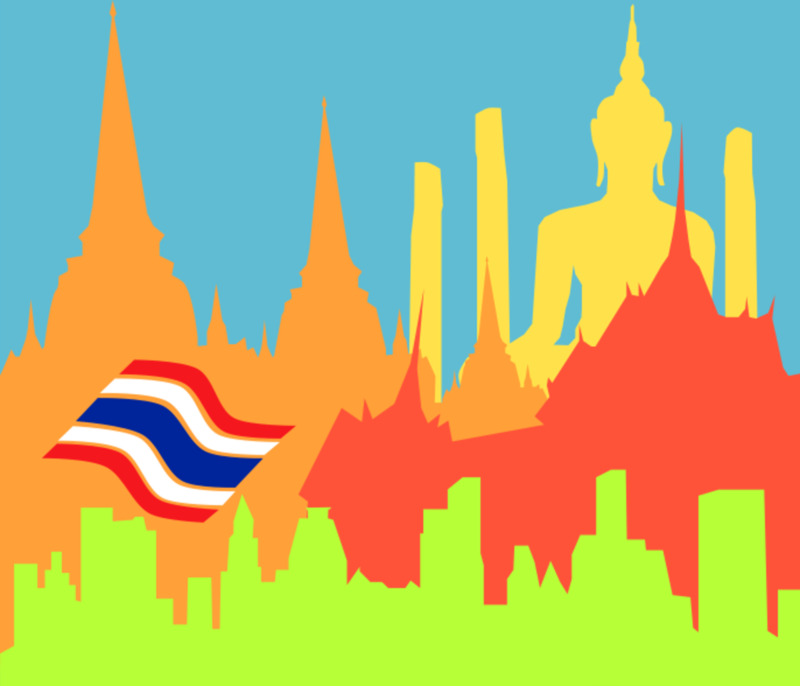 7)Do you feel comfortable overcoming language barriers and difficulties? Of course there are many others, but I feel that the questions should be focused particularly on international experiences and interpersonal relationships, since if French students are going into an anglophone workplace, then they will have to face exactly such questions. Afterwards I generally try to see if the other students can say what is good or bad about the previous student's activity, which includes both what they said, but also their presentation and posture, all important things with an interview. 10)It is forbidden for you to teach a class independently, so if the teacher is absent, then you won't teach. However, this can be permitted if another individual is present with you, such as a supervisor, so sometimes impromptu organizations in such a time can exist. 11)generally you work with quite a few professors as an English assistant, since there are the most English professors, I worked with 15 with 12 each week (the reason why there are more than the 12 hours per week is the difference between A and B weeks) during the first semester, which is in contrast to less taught languages like Italian which might see one work with only 3 professors per week. 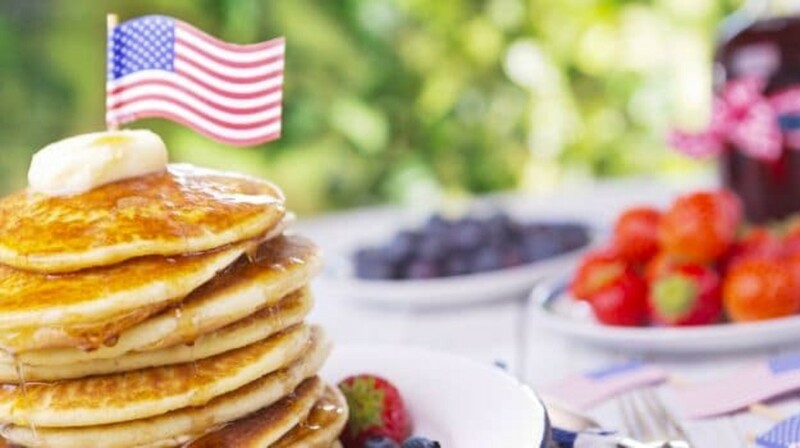 Things like American food represent a good way to both teach students about genuine American culture, that they find interesting, without doing stuff they are already drowned in like movies or films. 12)Other good subjects, these intended for regular classes, can include US Holidays and their associated histories, US cultural aspects (there are many things of course but off the top of my head I can think of US music - something that students would particularly enjoy -, food (depending on your budget, what is being presented, the number of students, teacher tolerance, and your cooking skills, you might be able to have the students sample some of your own products... another example could be to film the cafeteria of an American school or university and to compare it to France, there are also a number of videos online), American attitudes towards other countries and France in particular, how parts of the US are different from each other, and even US social tensions as some people find the problems in US society fascinating. 13)While you are indeed here to teach English, and it can seem strange to have the idea that these people might not know much about the United States, French students tend to have a shallow understanding of the US. They may know who the US president is, and often dislike him immensely, American food or product chains, some US music, but about life in the US they often only have a superficial understanding. This is especially true if you come from a minority group in the US with a difference of vision and experience compared to the average American mentality. Don't assume French people know about the US - for example, I started talking about the frontier and American ideals, but the students were rather lost. These are concepts which are perfectly good to bring to them, but they have to be taught it first. Indeed, US history is a perfectly good subject to present. 14)Some examples of this that I have thought of include talking about American patriotism, the American idea of a melting pot society, the American frontier, the idea of a shining city on a hill, ideas on individualism, etc. These are just my own and are mostly only relevant to advanced courses who can understand these concepts. 15)You can also do stuff about your region. I have done for example, the animals of Humboldt County, my home in the United States, to Collège students. Talking about personal experiences is always a good piece of advice. 16)Some professors will simply want you to do conversational activities with small groups of students, say, maybe 6 of them, for 10 minutes. This is broadly speaking my favorite activity. 17)There are a wide variety of things which one can do for extracurricular activities to support the students. English clubs, days or special events for the school (like an American day with American food and a bunch of American flags, etc. ), contributing to school newspapers with English sections, are all possible helpful options. However, as a note, bringing food may not be a good idea due to allergies, at least at the collège level. 18)However, if you are planning a club, or another long term activity, make sure to make it clear to your teacher that it might not be possible to be done throughout the year, as your times will switch in January. 19)The three levels of primary schools, collèges, and lycées are all represented by assistants, but since primary school teachers do not attend to the orientation meetings, they are somewhat removed from the rest unless if one happens to meet them locally. One may teach both at a collège and a lycée, or only at the collège level: so far I haven't discovered any Anglophones who just teach at the lycée level, although I do know a Spanish assistant who is only at a lycée. The number of schools varies from 2 to 3, with lengths varying from 3, to 6, to 9 hours per establishment. Your two or three establishments do not necessarily know each other very well beyond administrative messages, so don't expect a great degree of cooperation between them. In addition, commuting between them may be difficult or expensive: re-compensation seems possible in some cases (I know an Italian language assistant who is re-compensated up to 50% of her train fare), but not others (an English language assistant similarly relies on trains but doesn't get compensation) and so I don't know how this operates. 20)You should have at least 1 and possible 2 days off per week. Furthermore, French lycées as of 2018 have Wednesday afternoons off. However, major reforms are coming soon, which might alter this. Be aware that French Lycées operate much later into the evening than their American equivalents, as late as 6pm although they make it up with plentiful vacations. Two weeks every six weeks! 21)Your time slots will probably change throughout the year. In my case the first reformed transpired around two weeks after the rentrée (the return to classes) after the Christmas holidays. Afterwards you may work with new professors and will have plentiful new students. 22)In effect, you can think of this as a restart, where if you didn't like the teaching style during the first period and feel it didn't appropriately inspire enthusiasm, discipline, or learning, you can change it around on new, fresh, faces. 23)While technically 12 hours per week is the expected work load, it will commonly be rather less, due to classes which are cancelled, teachers on stage (training sessions), tests where your presence is not required, or strikes. Expect that in actuality it will be more like 10-11 hours on a weekly basis, although of course when exactly these classes are off is unexpected. Sometimes it can drop catastrophically low, when professors, during one week it reached perhaps only 6 or so hours for me. 24)This is particularly the case it seems at the end of January and beginning of February when many classes are doing mock exams and hence one can expect quite a few to not require one's presence. 25)French lycée classes at the terminal level (the equivalent of 12th grade) are based upon the idea of the 4 notions - lieux et formes de pouvoir, mythes et héros, espaces et échanges, and l'idée de progrès. I would recommending talking to one of your professors at length to attempt to understand how to work this into your teaching at the terminal level. 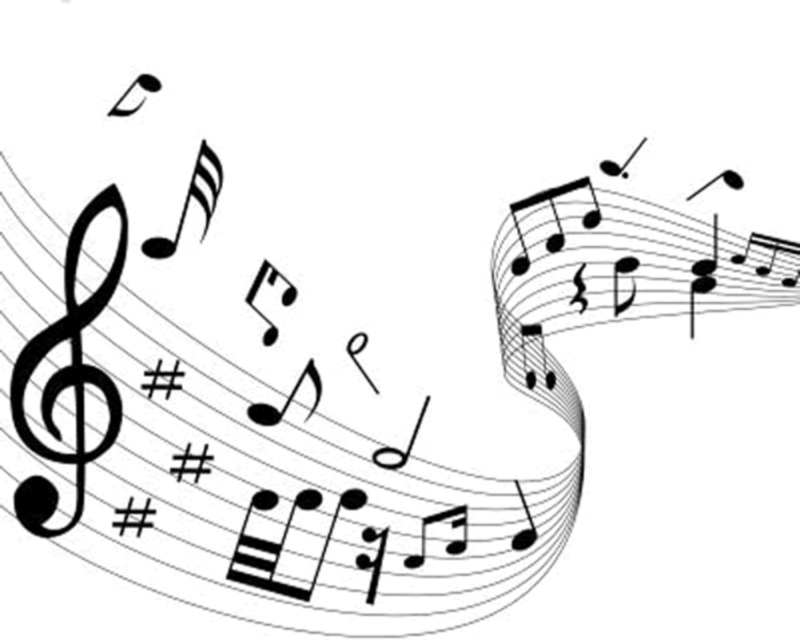 Music can be a great tool to connect to your students and encourage enthusiasm. 26)One particular lesson type which I have enjoyed is doing song translations, from English into French. But be aware that the songs have to be carefully calibrated according to the school level, too slow of songs might not be well received at the collège for example. However, generally students like the music. Another activity I like is showing English language idioms. 27)You will probably have Week A and Week B time slots, with a different schedule for Week A and Week B. In my case there was little difference between the two, just one hour per week, but it might vary more in your case. 28)Teachers will generally advise trying to match the lessons to what is going on in the contemporary world for traditions in the United States such as American Christmas, Halloween, Thanksgiving, New Years, etc. At the Lycée level they will also try to link this into contemporary French events, such as gilets jaunes in 2018. 29)It is not necessary to do what subject your teacher is doing. There will probably come a subject which you are completely unable to do anything upon, which you find woefully uninteresting. In my case it was Master Chef, which I have never watched and wasn't sure why it was being integrated into a curriculum. Instead, have your own list of things you can do, such as idioms, food, music, sports, etc. This will also be good in case if you come to class and you are blindsided by a confusion with your teacher: then you will always have something to fall back upon. 30)It may feel strange, but do your best to be formal and assume that you are viewed as an adult by the students, not as one of them. Use appropriate posture, language, try to minimize any usage of cell phones in class, no food, etc. Assume anything you do will be reported to the teachers by the students. Sometimes French people will not tell you if there is a problem with your behavior, so make sure to ask them. 31)Building on the final point of the previous note, it is of utmost importance to ask occasionally to your professors how you are doing, and what you can do to do better. Don't just assume they will tell you if you are doing something wrong. French teachers seem surprisingly cautious about spreading critique to their teaching assistants, so it is highly important to be direct and make them talk about if they have any problems with you or things that need to be changed. This was probably the first real culture shock I ever had in France, as compared to the United States, so be aware of it. 32)Do your best to well, sell yourself, about you and the United States. Even if you don't know popular culture very well (this is myself), there is something which you do know, assuredly, about the country, and French people will be shocked if you declare too much of an ignorance about your own nation. 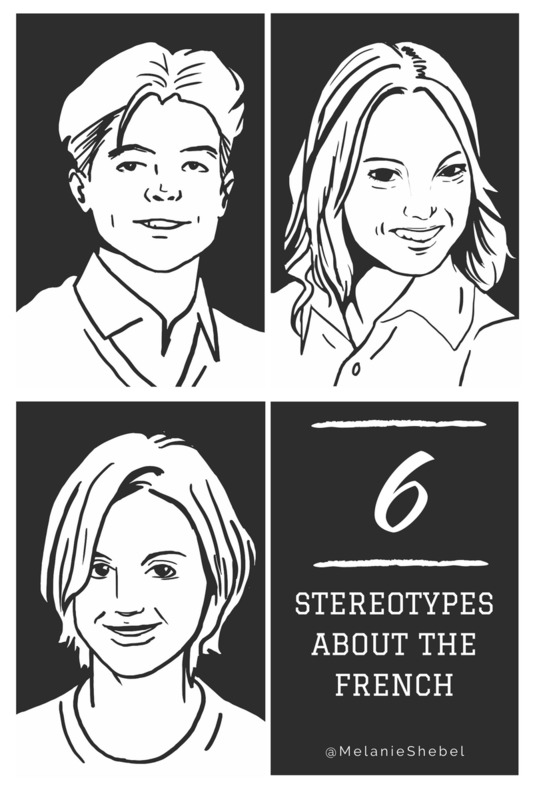 33)Do your best to be completely neutral, and be aware that even joking mentions of stereotypes may not be well understood by students, who generally don't get any complex humor. 34)When assuming that anything you do will be reported back to teachers, assume that when they do so, that it will be in the worst possible light. Any mention of drugs won't include the context, about stereotypes about mentioning that stereotypes aren't true, etc. 35)French students will not respect your authority. This is not just my experience, but the experience of other professors, real professors and not just students, with whom I have talked. They have all mentioned that they sometimes have problems managing their students. Be aware of this before it starts, that many of your classes will be very hard indeed to manage. You will come to expect constant chatter. 36)This does vary though by level, in my opinion the lycée students are the rowdiest, collège students are also certainly very difficult, although the youngest collège students, the 6ème students, are almost always very kind and friendly -although not speaking very good English at all. 37)Shaking this up by making them move around their desks, putting them in a circle, assigning random partners, can help to deal with this problem to some extent by making it more interesting. 38)A common extra-curricular activity that professors will ask you to do is for transcription to record audio documents, particularly during the second half of the semester. 39)During the second half of the year a common thing that will be done is to have you listen to students doing oral exercises and write-ups, which is important for preparation for the end-of the year exam. Thankfully you don't have to be prepare very much for this, just read the same material as the student so you are able to judge and assist them. 40)A list of some of the topics which were covered at the lycée level in 2018/2019 include Canada and immigration, photo journalism, citizen journalism, film analysis of the Alfred Hitchcock film Psycho, literature analysis of Tiffany's Breakfast, selfies, the American frontier, Master Chef, the Vietnam War, the sharing economy, and American nationalism. Of course; there were others which were discussed, but in any case it shows a very eclectic and wide range of subjects. 41)I would particularly advise trying to seek out those professors who had they themselves been teaching assistants in the past. There are French professors who have been teaching assistants in the English-speaking world, and they have an understanding of the challenges, difficulties, pleasures, and needs of the job that is of great utility to you. Although not quite as bad as the above photo would suggest, French bureaucracy can be terribly difficult at sometimes: even the slightest piece of incorrect material will result in your failure. 42)It is obligatory to attend two administrative meetings for your academy, to deal with administrative affairs and to instruct you in pedagogy. These are a very mixed bag indeed. In general, as far as their main usage, they take up far too much time and give very little which you do not already know, sometimes requiring lengthy commutes to arrive at them. However; there are bright sides in that you will (eventually) be reimbursed by your school for it (make sure to keep hold of your tickets for that to be done, and you will get the reimbursement form from the administration at the school that you deal with the most often), breakfast and lunch are both free and normally good, assistance with the OFII form (you can submit them to them to turn in, so you don't actually have to worry about sending them off previously) and most importantly, you get to meet other assistants. Often they begin to arrive around 30 minutes at least before the first event, so one has plenty of time, if one shows up early, to intermingle, not counting the various amounts of free time throughout the day at breakfast, lunch, or breaks. 43)If you are going a substantial distance it can also serve to in effect subsidize travel elsewhere: my rendezvous were held in Poitiers, which made it a good base to go to the local amusement park the Futurscope, in effect with transport there paid for by the state. Similarly for normal days, some transport to schools can be subsidized, to my understanding up to 50%. 44)Work associated with the orientations are limited, the first time just having your administrative affairs to receive assistance on is sufficient. The second time, which is devoted to pedagogy, a brief exposé is demanded of an example of a successfully conducted class, or perhaps a bad class. Keeping in mind during the first month and a half if there is a particularly successful strategy to present may prove useful if you are anxious about this, but it is not at all difficult. 45)There is very little overall preparation I would say, and don't assume that you will be told stuff at great length or that your hand will be held: be vigorous in asking questions and make sure that you are on the same page with your professors. Don't make the assumption that if nothing is said, then nothing is wrong. And don't expect any miracles with being introduced into teaching: you will have to work it out on your own, beyond informal discussions with your favored professors. 46)Keys for classrooms will probably be found with the intendance of your school, if you are living at the school that is the same person as you deliver your rent to. Of course in smaller schools it may be necessary to inquire to another individual and certainly asking your professors doesn't hurt. 47)OFII forms can take wildly varying amounts of time to arrive to you and generally take a very lengthy amount of time. Your question is probably when you should start panicking if you have never received your OFII form, which thankfully you can wait a while about as it doesn't seem that you will be immediately kicked out of the country upon the expiration of the 3 month period before you need a visa. My appointment for the OFII vignette was supposed to be on the 29th of November, other people were even earlier, and I know somebody whose appointment was on the 13th of December. 48)It is entirely likely that the appointment for the visa à long séjour with OFII will not succeed. In my case I automatically received a message informing me to go to the regional center, but in any case you can look for it by finding the department where you are assigned to contact them. 49)You should receive a steady list of physical responses from OFFI about your doctor's appointment for your health check up, about them having received the dossier of papers given to them, and times for their appointment, which should also include precise listings of documents required at each next stage. If you are not receiving them, talk to your school: perhaps they got sent to the wrong address. 50)There is no need to be particularly concerned about the dress code as a teacher, although generally the French do dress better than their American equivalents. In any case the big sales in January can enable one to easily attire oneself to French standards. 51)However, do be aware that French people tend to interpret short sleeves as more informal than Americans, so even though you might be hot in them (not always, in my case I just tend to be very warm and so being in short sleeve shorts is necessary for me to be comfortable inside), using a long sleeve shirt intermittently might be advisable. 52)Banking issues do not seem to be that uncommon, but generally you can expect help from administration at your school. Furthermore if there is a problem with the credit card you can use temporary cards provided at the bank counter itself to withdraw money. 53)Getting your social security card is rather simple, just a matter of sending off a few documents and identity photos to an address provided on a form which is sent to you. 54)Paycheck papers seem to arrive a month or two late at the earliest, so don't be too worried about not receiving the confirmation paperwork immediately. 55)Your establishment will probably contact you for a final meeting towards the end of your contrast, bringing together the language assistant(s) of your school to conduct a review. 56)Another final ending event will be the request for feedback from CIEP, a relatively brief and simple questionnaire asking about your opinion on their administrative meeting near the beginning of your stay, your relations with your professeurs, your relation with your students, suggestions for the future, your general commentary, etc. 57)Housing of course can vary quite wildly, and I only have experience with school housing. School housing is generally cheap or free, or at least it is in the region of Charentes-Maritime where I work. However, it seems to be quite common that wifi is either non-existent or terrible. My two principal friends have no wifi at their school provided housing. I have wifi and it it was of very bad quality (the lycée improved it later on, to my great relief, so don't hesitate to ask). In particular many sites are blocked. If there is anything that you desperately need to have, that you think will be blocked, download it if possible beforehand. You should certainly consider purchasing your own wifi, which is not very expensive with companies like Free. 59) Some apartments will not have washing machines, and those washing machines which exist can sometimes be incomprehensible for foreigners at the least and in poor condition at worst. It can often be necessary to go to a laundry mat. The cost for a laundry mat at La Rochelle to wash a load of laundry, including the purchase of soap at the laundry mat (1 euro) is 6-7 euros. Of course it is cheaper to buy soap elsewhere. 60)Be aware that some lycée apartments can be isolating, if there are insufficient assistants there or some of the assistants belong to their own clique. Take that into account as you plan out your social activities and decide on your housing. Doing your best to try to reach out to other assistants and professors is vital to coping with this loneliness! Other assistants have mentioned that this is a problem with themselves as well, so be prepared to have to strive your utmost to make friends and really work to not be too isolated. 61)When you are giving your address, it is generally best to give the school address if you are living in habitation at the school, for things such as messages and deliveries. This may of course, change on an individual basis. Furthermore, when one orders or receives messages, one should be aware that they can often be in two places at a school: the reception, or one's personal message box. It is good to check both before being concerned that one has not received something. Furthermore make sure to only use one address, having two can lead to unfortunate confusion. 62)Of course, it depends on the rules in your school apartment or outside, but you should certainly consider a roommate, for gaining money and company. Ways to advertise for this include both physical advertising, and in a more likely way, online advertising. But unfortunately many school-based apartments do not offer this possibility. 63)Most lycées and collèges will offer cafeterias which are generally cheap and with good quality food. Furthermore, some lycées, with intendants (boarders) may have dinners, again at a reasonable price and of high quality. 64)Contact the education establishments you will be working with, particularly lycées, as early as possible to see what sort of offers they have for food, internet, housing, etc. 65)This is mentioned elsewhere, but your paycheck won't arrive until early November at the least, so make sure to have a reasonable sum of money saved up to cover this initial period. 66)It is possible to get support from the state in the case of excessive rents, something which will be discussed in your regional orientations. An example of a linguistic café. 67)French people in my experience, which admittedly can be somewhat biased since I am naturally a private person and not that socially vigorous, have a tendency to have established and close knit friendship groups which can be hard to really become part of. Of course, I am certain that this is not the case for everybody, and is somewhat due to my own drawbacks on the subject, but that is my impression. Thankfully, professors are generally friendly, and will often invite one to dinners or to social events. Do your best to cultivate these ties, particularly if you live alone. 68)Inevitably many of your friends will be other assistants. In addition to trying to make friends with whatever people are in your school, pre-arrival emails, random meetings, meetings at the orientation, etc., many academies will have a Facebook profile with various things that are being planned, and there will be Whatsapp groups formed eventually. 69)For those interested in learning another language, many lycées will have some programs in such regards. For example, Lycée Dautet, where I worked at, has a Russian association with weekly classes.The same can be said about universities: La Rochelle has both Korean and Chinese institutes, while Poitiers has evening Spanish classes, just to cite a few examples. This is in addition to tutoring. 70)If you are interested in improving your French, if there is a university in the city where you are at, they may offer French as a second language courses which are sometimes able to be paid for by your academy. Of course simply engaging more often in speaking the language is probably the best! 71)Furthermore, one can register as an auditeur at some universities, which does include a fee, and attend some courses. Some universities are also open universities which seem to be attendable by anybody, as was the case with Poitier when I examined it, although I never checked to see if I was true and that is the same in practice. 72)Even if you aren't interested in taking any classes or educational opportunities, it doesn't hurt to check out local universities and see if they have any social event or activities going on! Most language assistants will be fresh from university and will feel at home with it, and there can be some quite good events: at La Rochelle there was a journée linguistique, aiming to meet people wanting to learn other languages through sharing one's own, where I met at least one permanent contact from. 73)For finding social relationships there are some useful sites which are available. OnVaSortir has a rather old composition as a whole but still has quite a number of activities. Of course the standard romantic liaison sites doubtless exist, with some French additions. 74)Many assistants will be under 26 and so should look out for discounts for youth and programs for them. In the case of La Rochelle for example the Coursive program reduces the cost significantly for theaters and plays. Some museums are free for students. Carte jeunes can enable significant price reductions for various public services. 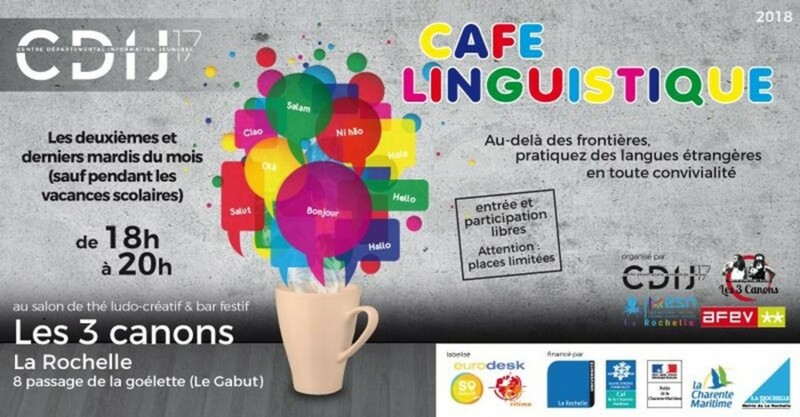 75)There are also sometimes social events organized at bars or such places, such as café linguistiques - sharing one's language with others and learning another one. Look up for these if you are in a moderately sized city. They can be found with google, word of mouth, or OnVaSortir. 75)Keep track of social events which are going on, there are commonly music events, even free ones, spectacles, various programs, etc. 76)Searching your city on google followed by éventement should give a list of things going on in it. 78)In general I find that French professors are a quite diverse lot with a wide range of experiences and recommendations, so asking them about things to do in your city can be quite useful and they will have a variety of councils. 79) Tutoring is a good way to earn some additional money through a relatively easy activity like teaching English. There are two ways to go about starting it: either advertise online, or do it in person. Online, there are two principal sites which I am aware of which have worked, these being Superprof and Le Bon Coin. Concerning Superprof, one should be aware that email confirmation of receiving messages can arrive in the promotion folder of gmail rather than the normal inbox, so if one leaves an announcement on Superprof to do courses, then do one's best to consistently check this section. Le Bon Coin thankfully doesn't have such problems. In person, one can find people randomly, or advertise in certain spots if there are any good location to affix announcements. 80) A variety of other sites exist but for me at least, I have found them either requiring much start-up energy, so far as needing to do interviews, or never receiving any results and requiring one to have to pay for them. These include Yoopies, Edulide, Kelprof, Mymentor, Courspep, and ProfesseurParticulier. 81) Apprentus I feel is a special case, as I have gotten requests on it, but I think that one needs to be rather careful about it. Specifically it uses blocks of tutoring time, so if one is leaving back to the United States, if one doesn't pay attention, one can make some unfortunate errors. Furthermore it takes part of the money for itself so is less lucrative, especially for lower pay levels. 82) Sometimes tutoring can be done on a bilateral exchange basis. For example, in my case, I am interested in learning Russian, and I met, quite by chance, a Russian who needs to work on her English. We agreed to do exchanges for her to teach me Russian and me to teach her English: if you have interest in anything beyond just cash, look out for these opportunities! 83)While it doesn't hurt to offer tutoring to students, it is extremely unlikely that any of them will take you up on the offer. In fact perhaps this can be a good thing to demonstrate your resolve to professors without actually adding to your workload... which in any case is quite limited. 84)While I have never had problems thankfully, you should be intensely aware about the liability risks of being alone with students you are tutoring, and it is preferably best to do tutoring in a public place or in the company of others to prevent any such risks, although just like me in practice you will probably find this unavoidable.... At the school, with regular students, you must be even more conscientious about this. For example, if there is only one student in your class at lycée, by law you must keep the door open. 85)Most students seem to prefer one hour per week, some may prefer two hours per week but this is rare, and I haven't heard from anybody desiring more. 86)The level of preparation for the student varies, from being just conversational, to requiring grammar, to assistance with homework for those who are attending schools. The level of difficulty and work which must be put into this may vary, but in my experience generally one is capable of getting away with little outside work. 87)Some people have not had as positive of luck for tutoring. My tutoring wages are 14 euros per hour (apparently low), I know somebody who put 20 euros per hour and received no requests, and somebody else who apparently has 8 hours of 20 euros each - but then, she is a woman, so probably woman are more trusted and desired for the tutoring role. 88)One suggestion that was made to me was to set up conversation hours, with groups in cafés and payment to talk English at them for a period of time. 89)Your teachers may also sometimes recommend to you students for tutoring. 90)For myself at least, most people have simply wanted to do conversational practice with me. However, there have been those who have wanted to do job interviews (in which case one can refer to the list of job interview questions from above), and in the case of children, it is not really possible to do this of course. 91)TAPIF is only a temporary job, lasting 1 to 2 years. 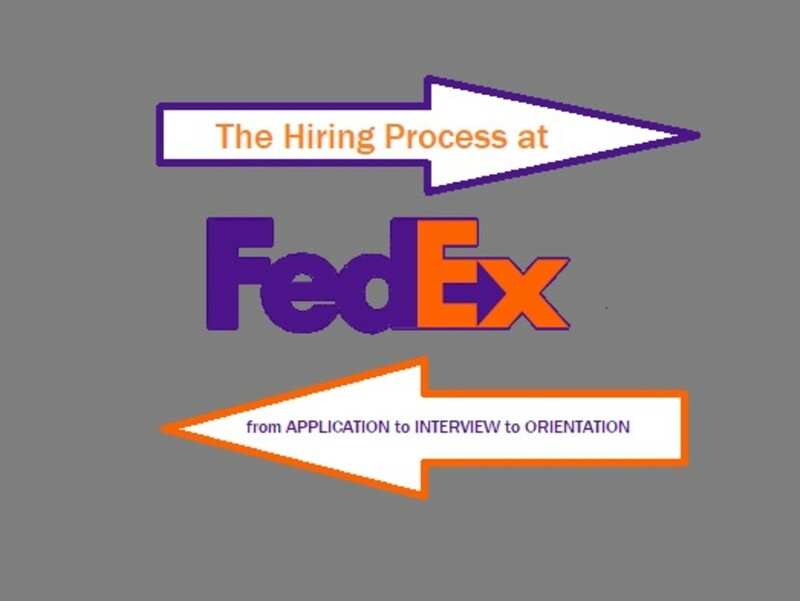 In addition to indirect benefits it brings regarding experience and material to be written down on a résumé, plus the advantage of being able to live in France, and its (modest but entirely livable salary outside of Paris) pay, one thing which TAPIF brings as far as advantages which is highly important is its scholarship opportunities. You should receive emails several months into TAPIF detailing what these are, with a wide variety of attractive scholarships for various United States universities with focuses on Francophone subjects. This will receive updates over time, very numerous in number. 93)The other decision to make is if you want to do TAPIF twice. This is really your own opinion of course, which requires a positive review from your academy, sign ups open on January 3rd (in theory, sometimes the sign ups are not as reliably opened as they proclaim...), as of 2018. If you want to do TAPIF in a non-consecutive year, then it has to go through conventional channels. 94)When doing this, make sure to look at the French version of the re-application page, as it will commonly have the material available earlier. Then you will find the dossier to download and fill out, which most of the time you will transmit to the principal of your main education establishment. They will then forward it. 95)This dossier will ask for things like if you have any projects for next year, a written paragraph about why you are doing it, and the normal administrative material, including writing down a professor who is referring you. I used my initial relay professor. 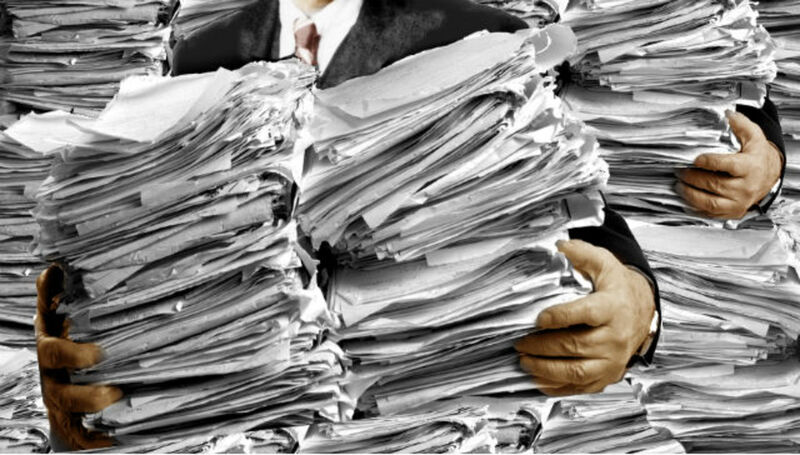 The administration will write down a report on what they consider to be your performance as an assistant. Generally this will be done through the head of your principal teaching establishment. 96)Don't just assume that this report will be positive, or that you will be accepted. It is not always the case, and so be aware that you might not be able to return. 97)Particularly, before hand, try to get a general feel of what the common belief is about your performance. Then you can have an understanding of what you think the reception would be to you coming back. I would advise picking a professor who you are on most favorable terms with as your recommendation professor. While this professor will ask for council from everybody, it is they who writes down the collective decision. A professor who is most friendly to you will probably naturally write down a different result. 98)If you do have a problem with your contract renewal, talk to your proviseur (the school principal) about it - they very well may give you a second chance! 99)Most scholarships in the US have deadlines from sometime in January to a few months following, so it comes later, ie. after you have already applied for graduate schools. Choosing one as a priority is preferable if you are interested in doing these two and have one as a back up plan. 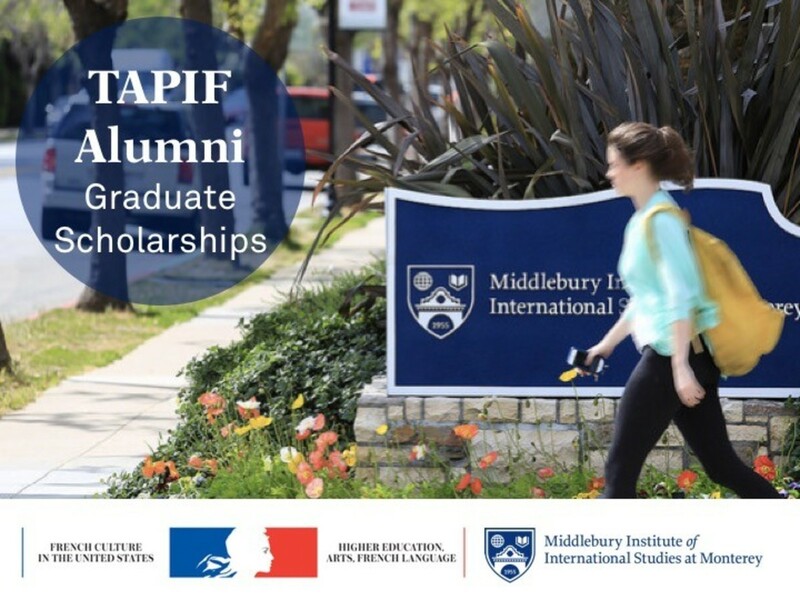 100)TAPIF will also provide you recommendations for French graduate schools, through the program coordinator, if you have any interest in instead studying in France. 101)You can also consider remaining in France and trying to find a university lecture/lectrice job, although this is much harder and more difficult. Exhaustive and useful for those who want to make a career in this line.